With five early cashes, Bart Lybaert enjoys the early lead in the 2016 WSOP Player of the Year race. Bracelet winners Rep Porter and Paul Volpe are just behind Bart Lybaert currently for 2016 WSOP POY. As the 2016 World Series of Poker moves through its second week, the 2016 WSOP Player of the Year leaderboard as powered by the Global Poker Index is beginning to reflect players’ hot starts and early victories. With five cashes already including a runner-up finish in Event 4: $1,000 No-Limit Hold’em Top Up Turbo, Bart Lybaert currently sits atop the leaderboard. Not far behind Lybaert are several early bracelet winners, including Rep Porter in second position who won Event #13: $1,500 Razz to claim his third career gold bracelet. Just behind him in third at the moment is Paul Volpe who yesterday won his second career bracelet in Event #15: $1,500 8-Game Mix after having come close last week with a fourth-place showing in Event #5: $1,500 Dealer’s Choice. Meanwhile a second and a third already for John Monnette has put him in fourth position. Ryan Laplante (currently in sixth), Mike Cordell (in seventh), and Peter Eichhardt (in ninth) have also picked up gold at the Rio All-Suites Hotel and Casino already this summer to become part of the WSOP POY current top 10. Robert Mizrachi (currently in 11th), Kyle Julius (in 17th), and Alan Percal (in 20th) are other bracelet winners sitting relatively high on the POY leaderboard. As Weinman also notes, Jason Mercier is making a deep run in Event #16: $10,000 2-7 NL Draw Lowball — “one of the purest forms of poker,” Mercier calls it — where the Team PokerStars Pro will be returning to the chip lead with nine remaining for today’s third and final day. 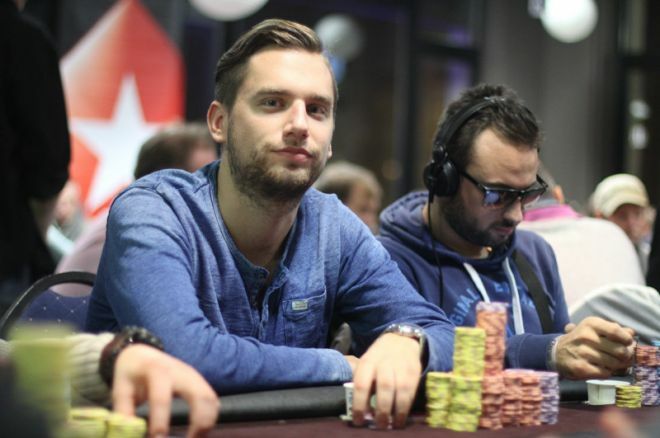 Besides hoping to join the WSOP POY race in earnest, Mercier is also gunning for a fourth career WSOP bracelet. Click here to follow the constantly-updated 2016 WSOP Player of the Year race on the GPI site.